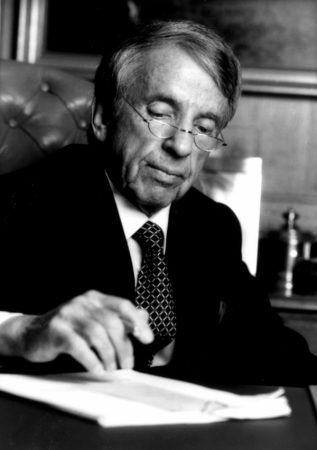 Norman Brokaw, former head of the William Morris Agency, died on October 29, aged 89. His uncle, Johnny Hyde, co-founded the legendary Hollywood talent hub, and gave the teenager his first job in the mailroom in 1943. 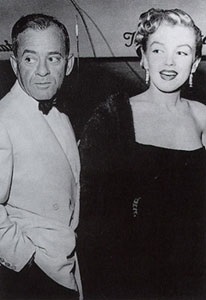 By 1949, Hyde was infatuated with Marilyn Monroe, who at 23 was barely a year older than his nephew. During their two-year relationship, Hyde secured her important roles in The Asphalt Jungle and All About Eve, and a long-term contract at Twentieth Century Fox. A copy of Marilyn’s original William Morris Agency contract, recently sold at Julien’s Auctions for $7,680, included a covering letter signed by Norman Brokaw. In an article for Huffington Post, Brokaw’s son Joel recalled, “There were lots of wonderful memories he shared with me about his family, his uncle Johnny Hyde and Marilyn Monroe (including the time that he got screamed at when he was about to sit on their sofa and crush the plaster model of her new chin. )” If true, this story may add some credence to the longstanding rumour that Marilyn underwent minor cosmetic surgery at this time. 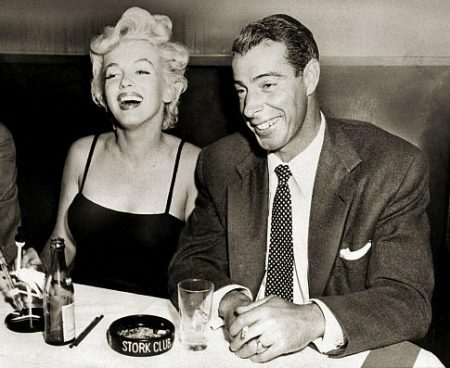 Marilyn’s next serious romance, with baseball hero Joe DiMaggio, began in 1952. According to Taraborrelli, the couple first met two years earlier, when Brokaw arranged for her to play a walk-on part in Lights, Camera, Action, an NBC variety show. (If this was the case, the footage may not have survived as it is not documented elsewhere. But Marilyn did film a TV commercial during the same period, so she wasn’t entirely unaccustomed to the small screen.) After filming, she and Brokaw dined at the famous Brown Derby restaurant, where I Love Lucy star William Frawley asked if he could introduce her to his pal, Joe DiMaggio. As they left the restaurant, Norman and Marilyn approached the ‘bashful’ sportsman. At the time, she was one of the few Americans who had never heard of DiMaggio. The next morning, Brokaw said, Joe called him and asked for Marilyn’s phone number – although whether he had the courage to follow through is unknown. By then, Brokaw was building up the Morris Agency’s new TV division. He persuaded stars like Barbara Stanwyck to try the new medium, and negotiated a pioneering deal for Kim Novak, granting her a share in the profits of her films. In 1965, he secured a lead role for Bill Cosby in I Spy, making him the first black actor to achieve star status on a major television network. During the 1970s, Brokaw added high-profile names in sport and politics to the agency’s roster. His career continued into the new century, and he was also a philanthropist, serving on the board of directors at Cedars-Sinai Medical Center (formerly Cedars of Lebanon), and St Jude Children’s Research Hospital. Norman Brokaw died at his home in Beverly Hills. He is survived by his wife, Marguerite Longley, six children and four grandchildren.